OdorLock contains a fast acting odor counteractant to neutralize active odor causing molecules. Use to eliminate odors and restore freshness in hotel rooms, sick rooms, autos, homes, etc. in the air. 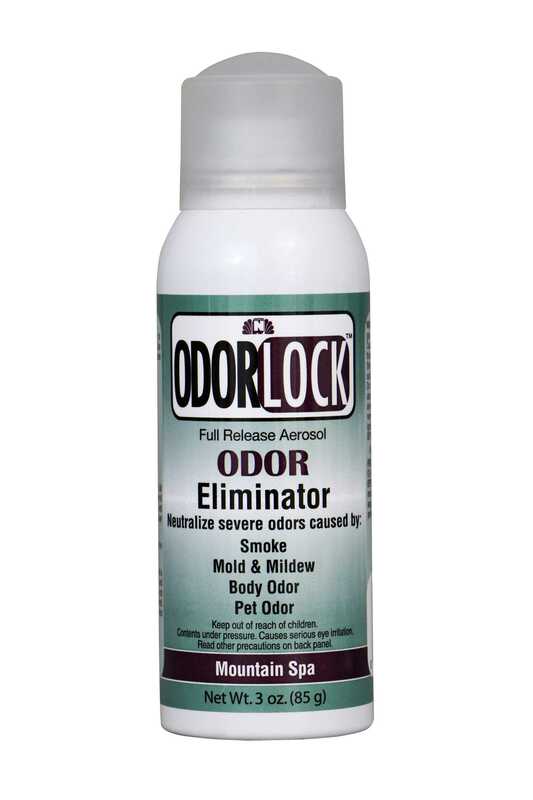 Use OdorLock to neutralize odors caused by smoke, mold, mildew, pets and body odor. For severe odors, use OdorLock as a full release air freshener. For light odors, use it as you would a hand held air freshener. AEROSOLS SHIPPED VIA GROUND ONLY. DOMESTIC SHIPPING ONLY!